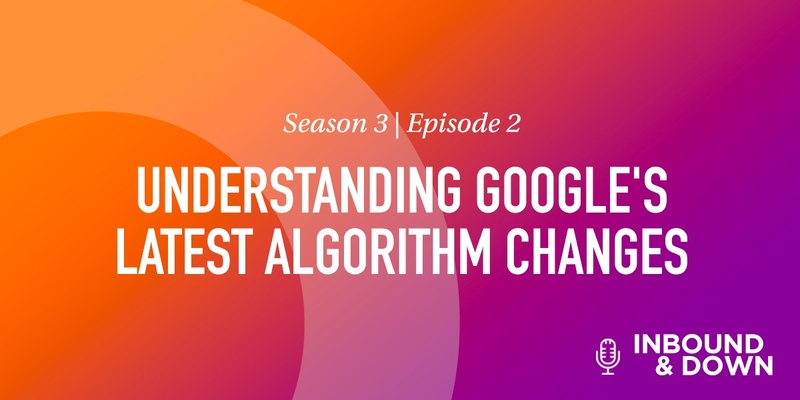 On this episode of 'Inbound & Down,' co-costs Jon Sasala and Danielle Esposito discuss Google's most recent algorithm change, known as the Maccabees update, and ways to optimize your website if you were affected. Google makes periodic changes to its algorithm, with varying effects on search engine results. Since the latest Google algorithm about-face occurred sometime in mid-December during Hanukkah, it was nicknamed "Maccabees"—a reference to that holiday's infamous Jewish rebel warriors who reclaimed Jerusalem from pagans and rededicated its holy Temple. Maccabees' impact wasn't as extensive as previous algorithmic switcheroos, although some websites did report losing about 20% to 30% of their traffic. These adjustments can mean a few things. They alter the way Google "scores" a page and its content, and how related the page is to the keywords it serves results for. As Sullivan explains, such modifications to the core algorithm typically occur to improve relevancy for searchers. While it's difficult to pinpoint exactly what these latest changes were, we can discuss several likely candidates. Since there has been a shift in the way users access the internet from desktop to mobile, Google has decided to change its algorithm accordingly. "Rather than indexing the internet on how it appears on desktop, Google has decided to index it based on how it appears on mobile devices," explains Jon Sasala, creative director at Morey Creative Studios. This is less about user experience, responsiveness and load times, and more about the content on your mobile site. Schema is a microdata tag that can be added to your HTML to help search engines better understand your pages while crawling your site. This enables Google to create a deeper contextual understanding of the content you're creating. Barry Schwartz over at search engine marketing forum news site Search Engine Roundtable suggests keyword permutations is the reason for the drop in traffic. He explains that many websites have a lot of low-quality pages targeting similar long-tail keywords and delivering bad user experiences. Unless you have a reason to create separate pages for each keyword, don't do it, he contends. Instead, he says, use one page to target multiple, similar keywords. Google is putting an emphasis on mobile-first indexing, so make sure your website is properly optimized to deliver a good user experience on mobile. It's hard to tell what other changes will come in the future, so keep up with best practices to ensure you rank in Google search engine results pages (SERPs). Have any questions or topic suggestions? Comment below, or email us at inbound@moreycreative.com.